Recently I just found out about the pont de l’Archevêché in Paris, and I absolutely love the idea. So the story with this bridge is that a couple who are in love will take a lock and most of the time they’ll put their names on it and lock it onto the side of this bridge, and then throw the key into the Seine river. Now I’ve never heard of people doing this… anywhere, but apparently there’s places and other bridges all over the world where people do this. 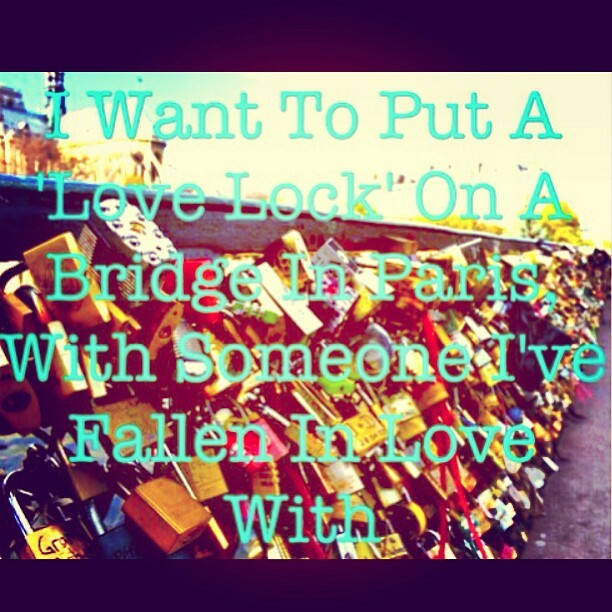 I honestly think that this is the sweetest thing ever, and it is now on my bucket list to put a lock on the pont de lArchevêché with someone I’m in love with.